For something simple and affordable that targets skin issues like redness, dryness, and an uneven complexion, consider an at-home facial. 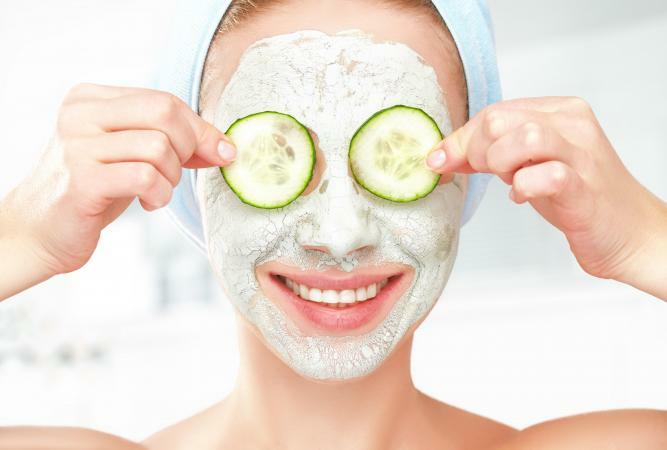 A cucumber mask is quick, easy, and effective, and you can customize it for specific skin concerns. There are plenty of masks available at the drugstore and from high-end beauty retailers, but you don't need to spend your money on them. It's possible to create something that works just as well. The main difference? There won't be cute packaging to ooh-and-aww over. On the plus side, an article on at-home treatments from Allure found the benefits of doing it yourself range from all-natural ingredients to lower costs and higher effectiveness. Set up your area. Pull out two medium-sized bowls for mixing, a sharp knife, and all of your ingredients. You may also need a food processor or blender, depending on your preferences. Peel the cucumber to remove skin from the outside. From here cut or grate it into small pieces and let it rest to create a cucumber puree. Alternatively, you can toss pieces of cucumber into a blender or food processor for a smoother consistency. Pour your puree into one of the bowls and set aside. 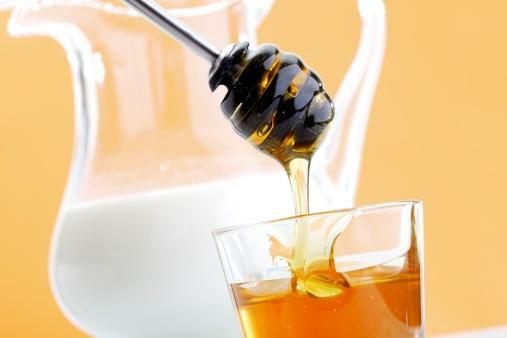 In the other bowl, combine milk, honey, and brown sugar together. Stir well. Add the second bowl to the cucumber puree and mix all ingredients. To apply, use either your fingers or a clean foundation brush, making sure the product is spread evenly across the skin. Massage gently using circular motions to enhance the exfoliation process. Let it sit for fifteen to twenty minutes. Rinse off with cool water and dry with a clean (non-irritating) face towel. Have leftovers? Not to worry. 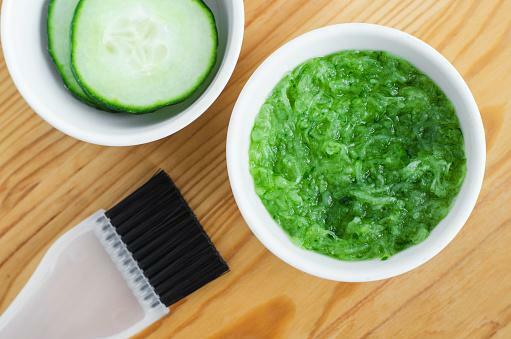 You don't need to throw away the remains of your cucumber mask. One option is to apply the rest to your chest and neck. Another is to store it in a container (make sure it has a strong seal or cover the top with clear plastic wrap) for two to three days. After that point, you will need to check it carefully. If the smell is off or the mask has started to dry out, toss it. If you have acne-prone skin: If you deal with oil, breakouts, or large pores, then you may want to alter your mask. According to GlamCheck, swapping out the milk and brown sugar for ground oatmeal and lemon juice removes excess oil and helps fight acne-related blemishes. If you have fine lines and wrinkles: For those concerned with fine lines and wrinkles, the mask can be changed to target signs of aging. An article from Step to Health on fighting wrinkles and sagging skin found cucumber and aloe vera work well together to stimulate the production of collagen and elastin. Aloe also contains powerful antioxidants. 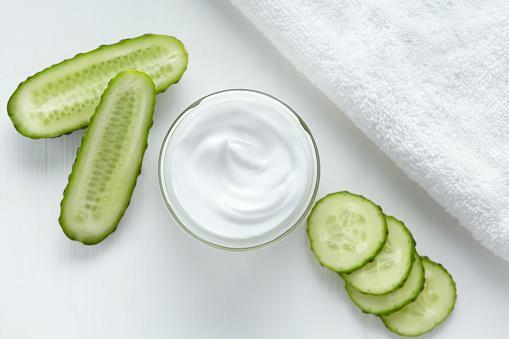 If you have a dry or dull complexion: When hydration is a concern, it is best to combine cucumber and plain yogurt. This works well on all skin types and is able to deep clean, soften, and nourish. For even more moisture, opt for Greek yogurt instead. The thicker consistency can make a big difference! While there are advantages to using at-home ingredients with cucumber, there is no denying how powerful the latter can be. It has a number of proven beauty benefits, such as its ability to tighten pores, hydrate the skin, soothe redness and irritation, calm puffiness, fight signs of aging, and control breakouts. The Huffington Post article 3 Reasons Why Cucumber Is Your Skin's New Best Friend also mentions that cucumber combats wrinkles and sun damage, thanks to antioxidants like vitamin C and caffeic acid. Whether you apply it directly to the skin, drink cucumber infused water, or add it to your diet, cucumbers benefit you from the inside out. Now that you know how to create a mask of your very own, it is important to consider application. According to Bustle, how frequently or infrequently a face mask can be applied will vary from person to person. 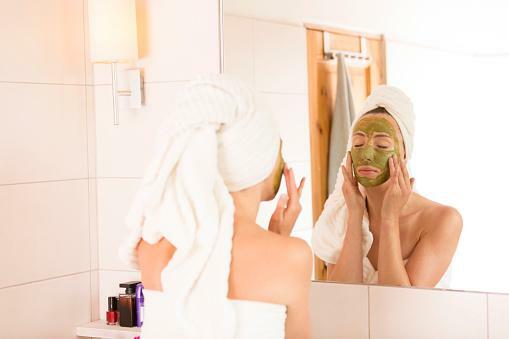 While most store-bought directions suggest once or twice a week, hydrating masks can be used more often. Any mask that tends to be a little more irritating (like something that exfoliates) should be used less. It really comes down to your own skin. For instance, those with sensitive skin are typically able to use face masks less than someone with normal or oily skin. Wait a few days in between for the best possible results. You can also change up the type of mask you use with a simple cucumber and yogurt mask. Treat yourself to a cucumber mask that delivers. With so many variations, you can always make something that targets your specific skin care needs. Just create, apply, and enjoy beautiful skin!